Ironband | Kansas 5i50 – This Sunday, May 19th! 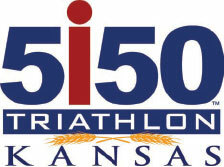 Triathlon season in the Midwest is officially underway and we thank the 5i50 Kansas Triathlon for inviting us to play at the event this coming Sunday, May 19th! Come out to Clinton Lake State Park in Lawrence and watch all the action as the athletes compete in the Olympic Distance (1.5k swim / 40k bike / 10k run) and Sprint Distance (500yd swim / 13mi bike / 3mi run) on the challenging terrain in an around the park. Ironband will be undertaking a challenge of our own as we attempt to keep the athletes entertained and motivated on the course while performing musical calisthenics on stage during our set. Not registered yet but feeling antsy to get racing? It’s not too late – late registration closes at 11:59pm TONIGHT! Want to save big? 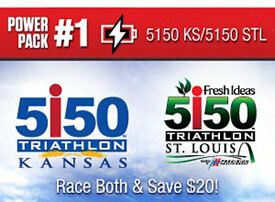 Register for both the Kansas and St. Louis 5i50 races for one low price. You know that you want to take a little road trip to the other side of the Show Me State, don’t you? See you out on the course this Sunday ready to rock n’ roll.